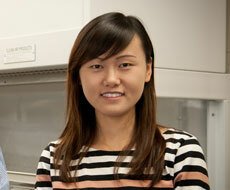 Meet Nanshu Lu from China, recognized as one of 35 Innovators Under 35 by the MIT Technology Review. She developed a first-of-its-kind malleable "electronic tattoo" that can measure health data to allow for more accurate monitoring by doctors. She attended Harvard University and was a Beckman Postdoctoral Fellow at University of Illinois at Urbana–Champaign. Now, she's a researcher and teaches biomedical engineering to U.S. students at the University of Texas at Austin. Find more stories like Nanshu's at www.nafsa.org/internationalstudents.